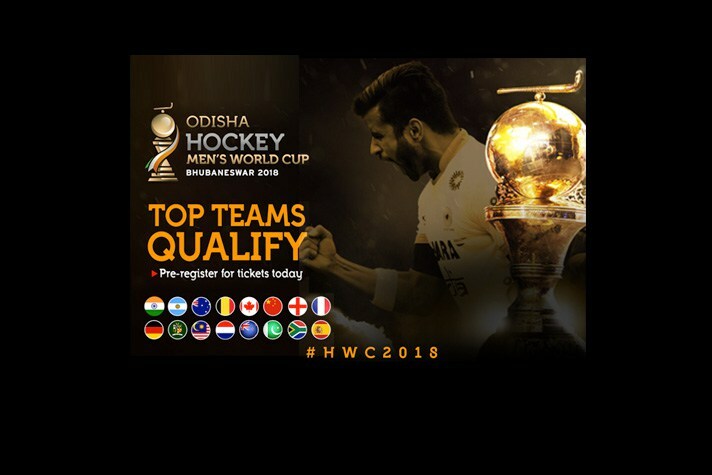 The 14th edition of the prestigious Men's Hockey World Cup is all set to kick-off from November 28, at the all new-looking Kalinga Stadium, Bhubaneswar. The Men's World cup marks the returns to India - the spiritual home of hockey, for the second time in eight years. The 12th edition of the tournament was held in New Delhi, in 2010 and featured 12 teams. The forthcoming World Cup at Bhubaneswar will be in action for the 19-days and will feature the 16 finest nations taking guns to emerge as the Champion on the biggest stage in the sport. The 16 teams have been divided into four groups, comprising four teams each. The team finishing on top of each group will directly qualify for quarter-finals. The second and third placed teams will battle it out in the cross-over playoff match for their place in the last eight. Hosts India are housed in Group C along with Belgium, Canada, and South Africa. The Group A comprises of Argentina, New Zealand, Spain, and France. In Group B, defending champions Australia have been placed alongside England, Ireland and China. Netherlands, Germany, Malaysia, and Pakistan are in Group D.
The Host India will hope to end a wait of 43 years for a title and will look forward to winning their second world title under the captaincy of Manpreet Singh. The host will face South Africa in their opener on Wednesday, November 28. 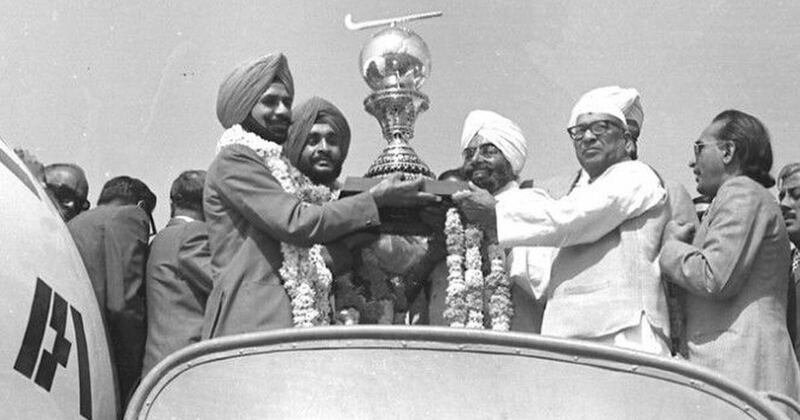 India has won the prestigious title only once in 1975, under the captaincy of Ajit Pal Singh. The Indian team is currently placed at the fifth position in the rankings and have shown massive signs of improvement in the recent past. When and Where is the Men’s Hockey World Cup 2018 taking place? (Know Date and Time)? 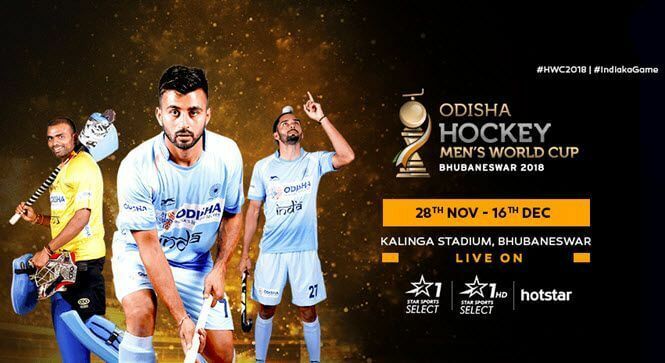 The Men’s Hockey World 2018 is all set to take place at the Kalinga Stadium in Bhubaneswar. The tournament is scheduled to begin on November 28 and ends on December 16, with all the matches scheduled to start at 5:00 p.m and 7:00 p.m IST. Where to watch the Live telecast of Men’s Hockey World Cup 2018 on TV? Where to watch the Online Live Streaming of Men’s Hockey World Cup 2018? The online live streaming will happen on the official YouTube channel of International Hockey Federation (FIH). While the Star Sports’ over-the-top platform Hotstar will also provide the live streaming of the entire tournament. POOL A: Argentina, New Zealand, Spain, and France. POOL B: Australia England, Ireland and China. POOL C: India Belgium, Canada, and South Africa. POOL D: Netherlands, Germany, Malaysia, and Pakistan.